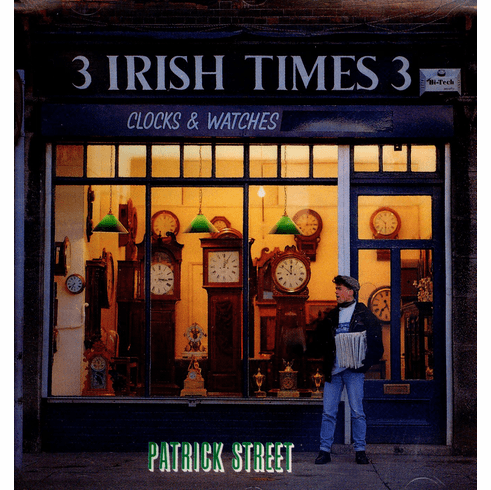 The Irish "supergroup" Patrick Street began with four recognized masters - Kevin Burke (ex-Bothy Band), singer/bouzouki player Andy Irvine (ex-Planxty), Jackie Daly (ex-De Dannan), and multi-instrumentalist Ged Foley (formerly of the Battlefield Band, and now in The House Band)-joining forces for a tour in 1986. Over a decade later, the group has now reached "legendary" status. Billboard has called their music "mesmerizing" and their albums "a must for those who love Irish music."